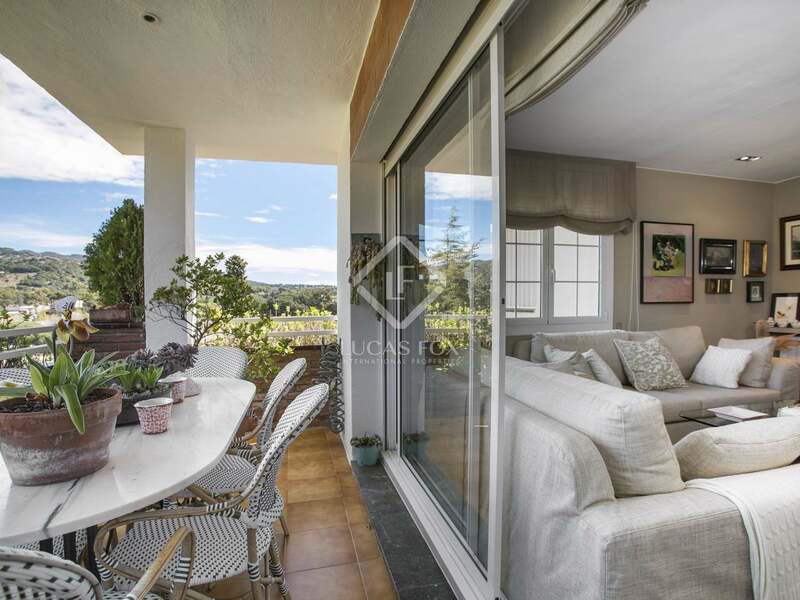 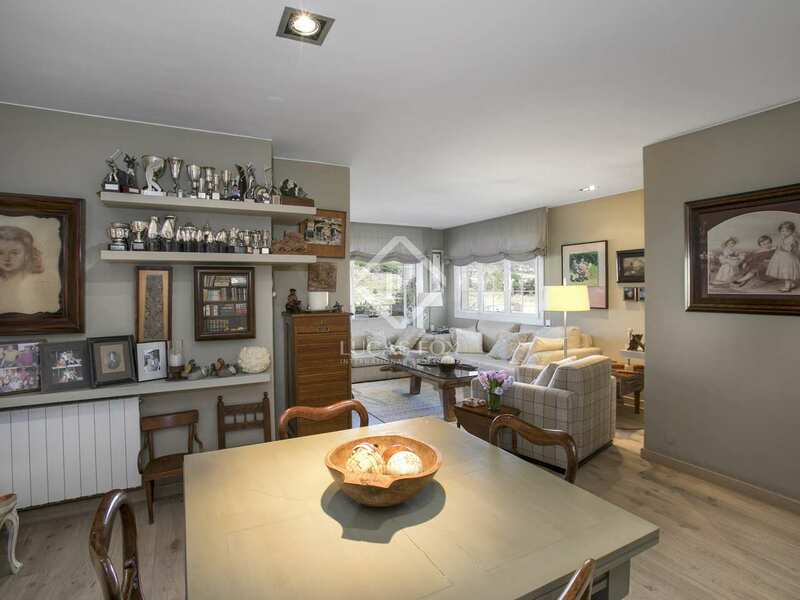 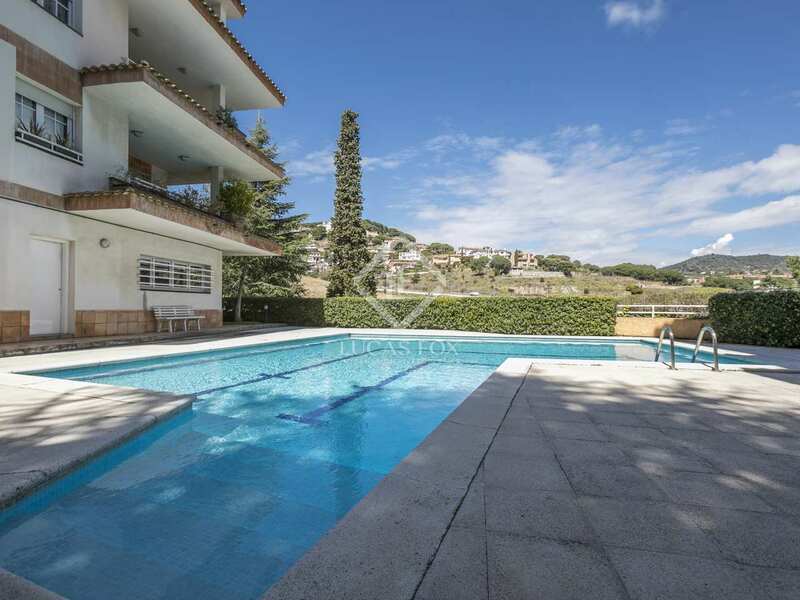 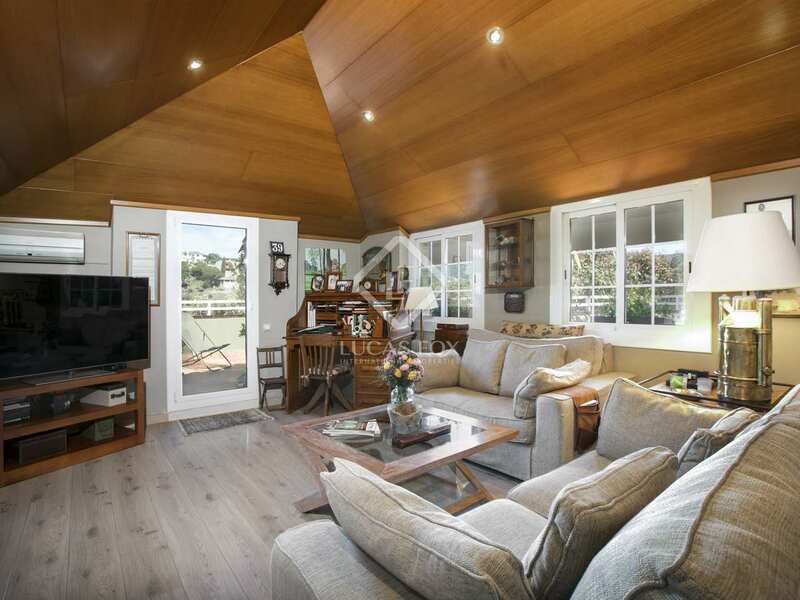 Superb duplex property with a terrace offering gorgeous views of the Alella vineyards and a communal pool, walking distance from the town centre. 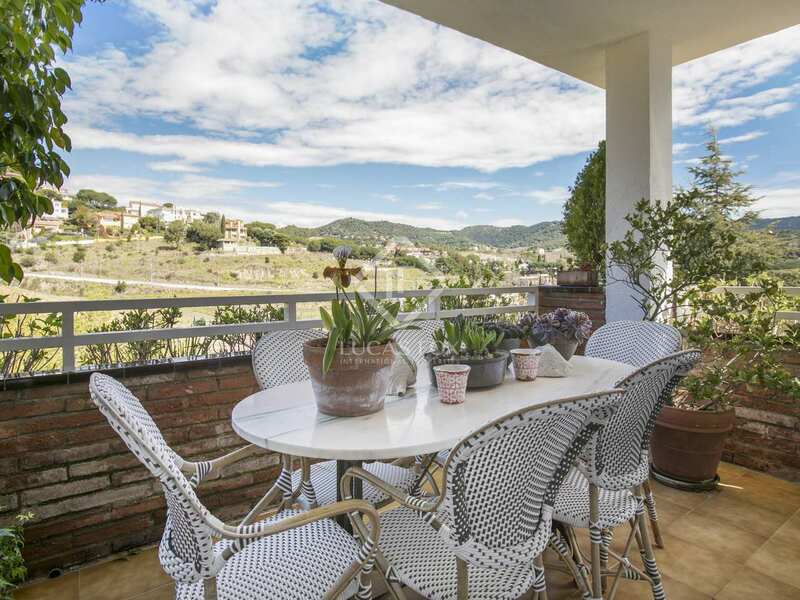 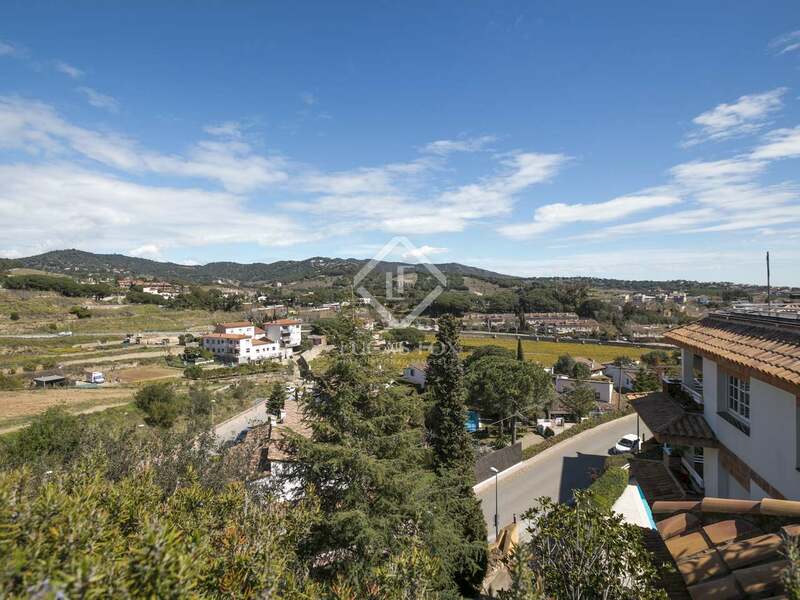 Walking distance to the centre of picturesque Alella and overlooking beautiful vineyards, we find this duplex property with 3 bedrooms, 3 bathrooms, a large terrace and a balcony, as well as a fabulous communal pool and 2 parking spaces. 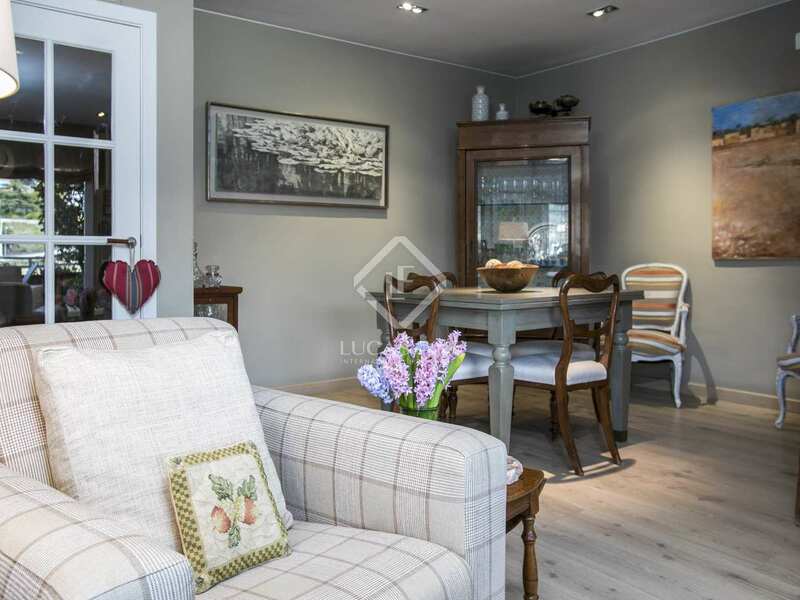 This beautifully renovated Mediterranean style home has been finished to a very high standard with wooden flooring, air conditioning, double glazed windows and gas heating. 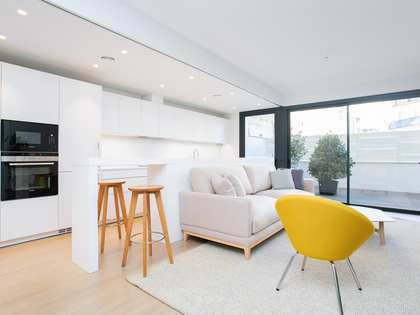 The entrance hall provides storage space and leads us to the modern kitchen diner with Smeg appliances and the living and dining room with a fireplace and a balcony. 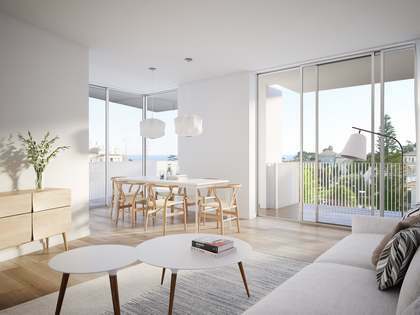 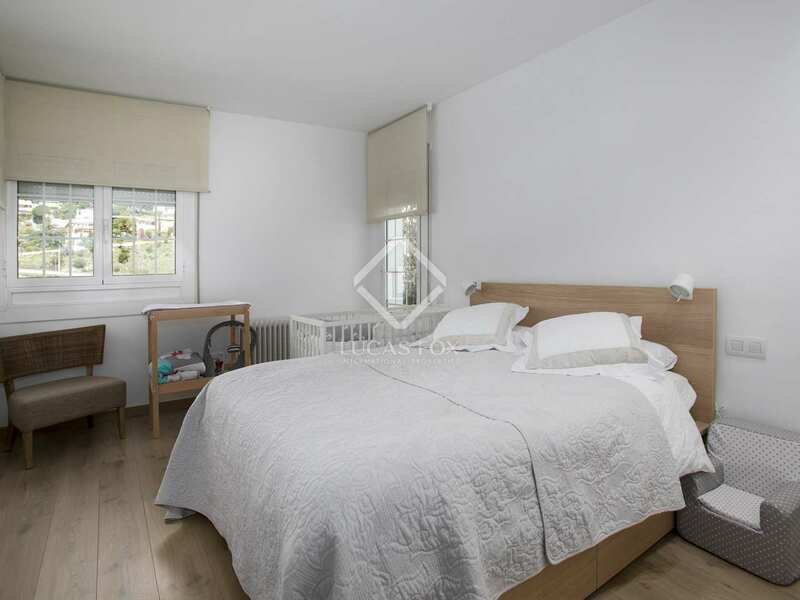 Also on this level are 3 bedrooms including the master bedroom with its en-suite bathroom with a shower, walk-in wardrobe and air conditioning, a double bedroom and a smaller double bedroom, both with fitted wardrobes and access to the balcony. 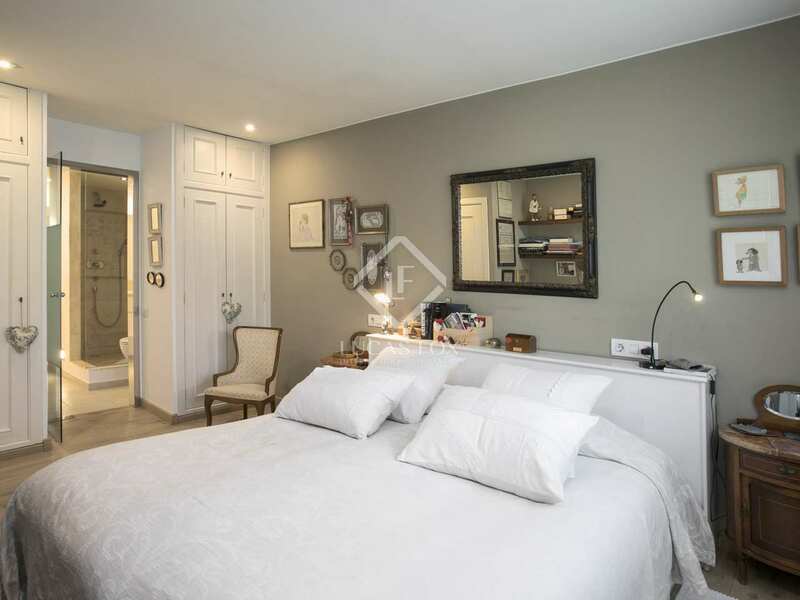 These last 2 bedrooms share a complete bathroom with a bathtub. 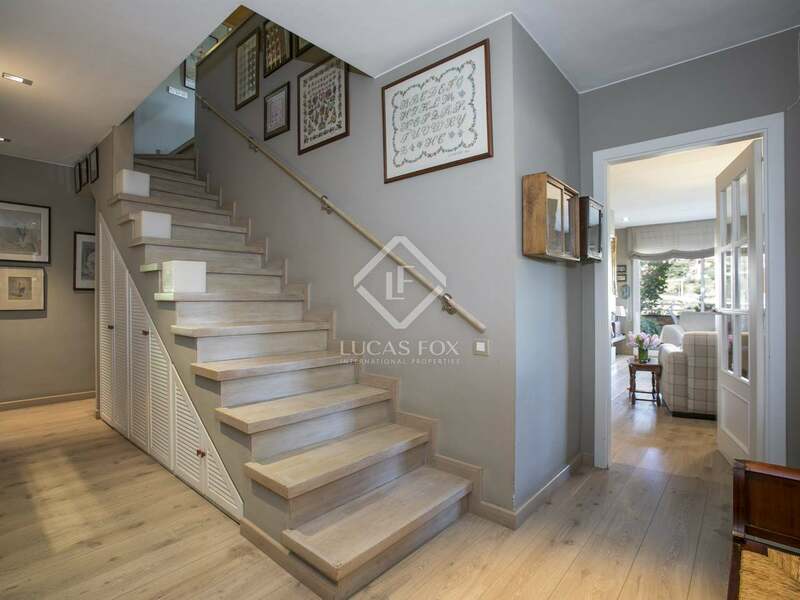 A staircase takes us to the attic where we find an additional living/study room with a small bathroom with a shower and WC. 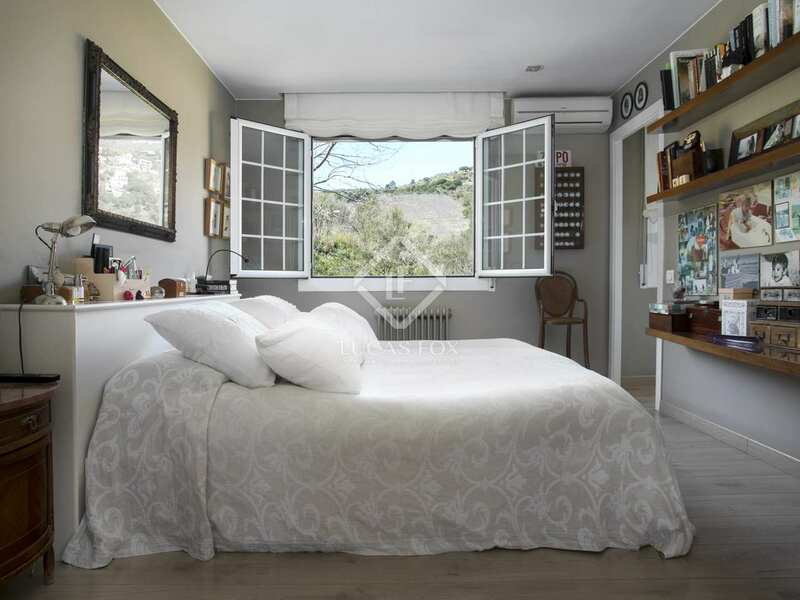 This room enjoys direct access to the wide L-shaped terrace with beautiful views over the hills and vineyards of Alella. 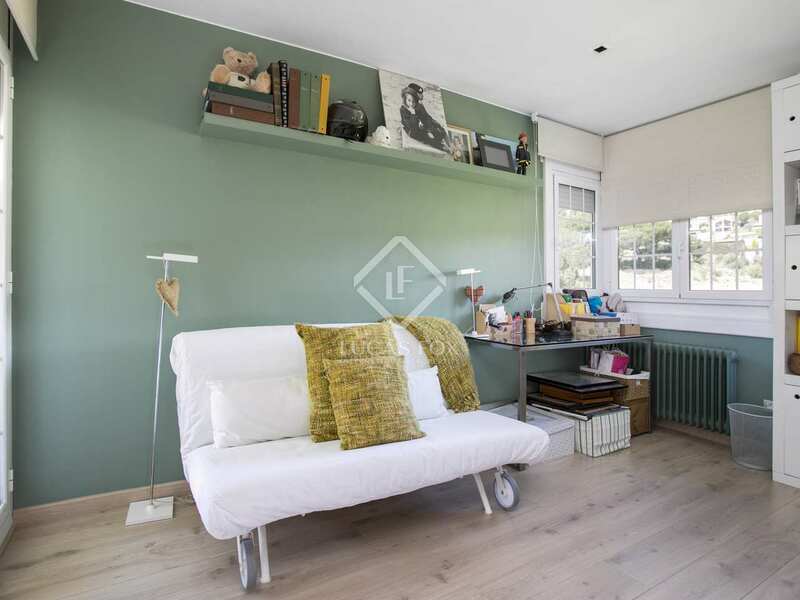 The attic room can easily be converted into an en-suite bedroom. 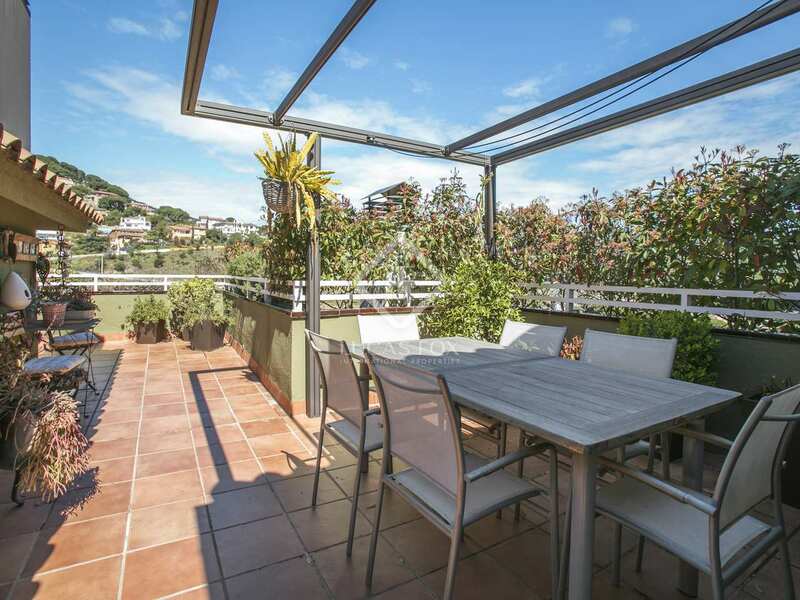 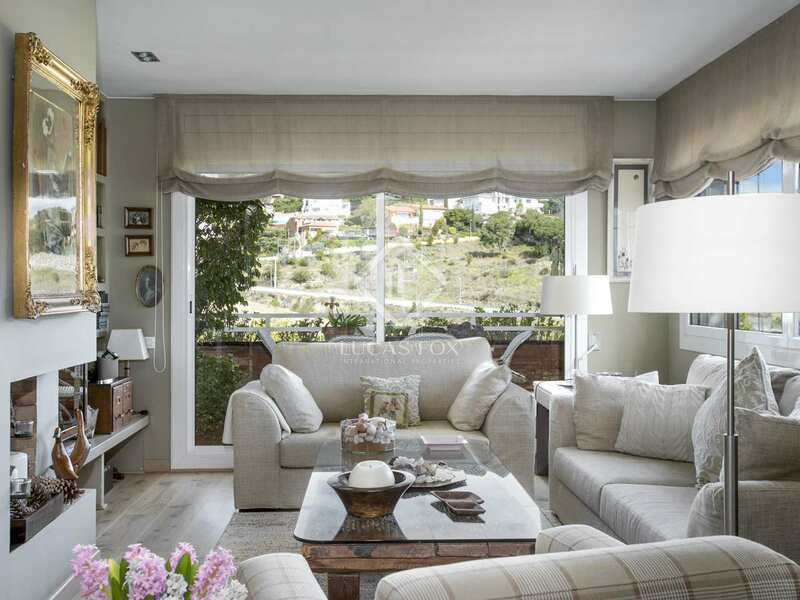 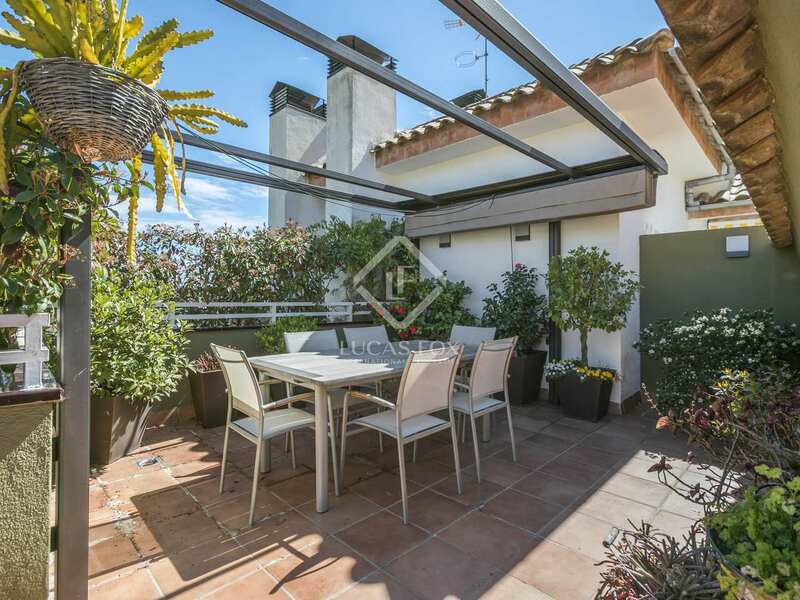 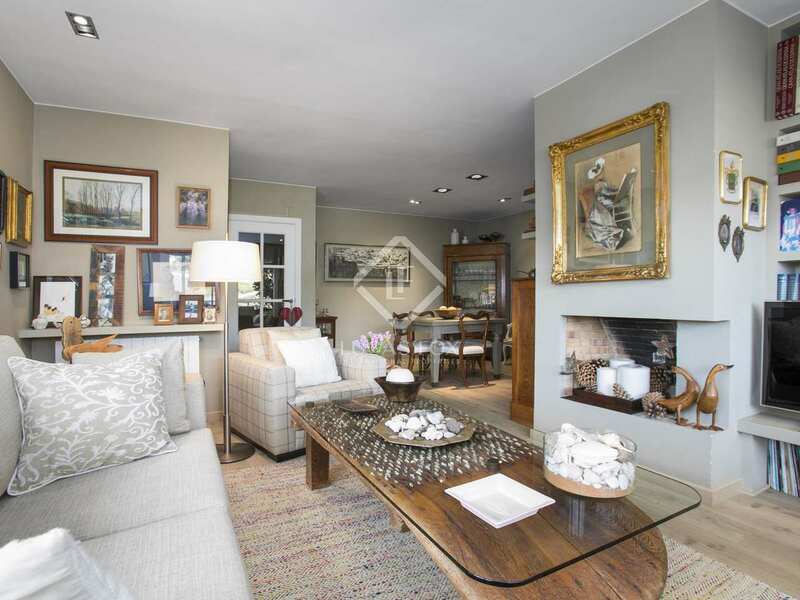 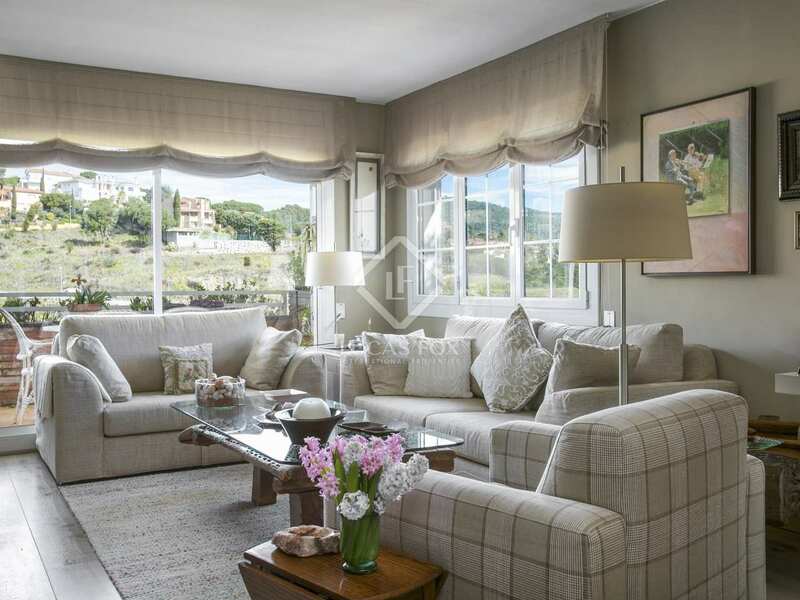 This wonderful 3-4 bedroom property is ideal for enjoying an excellent Mediterranean lifestyle with easy access to Barcelona City. 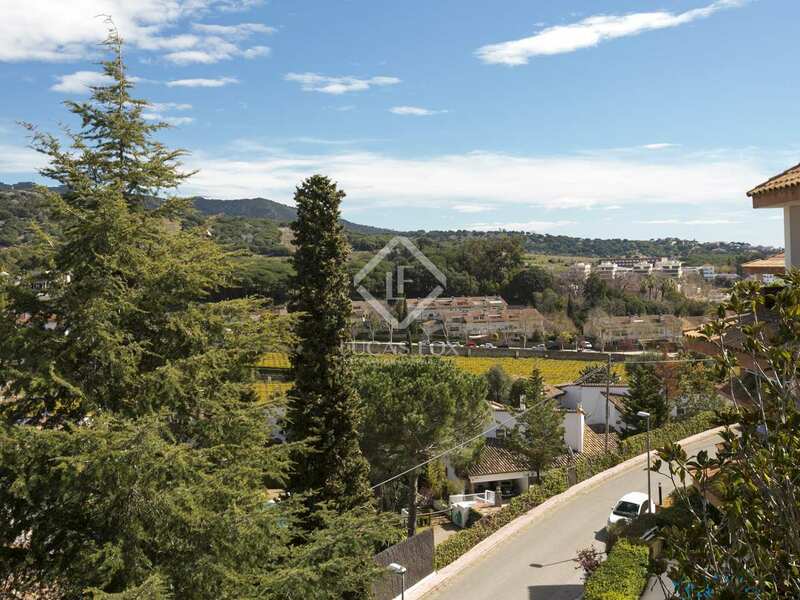 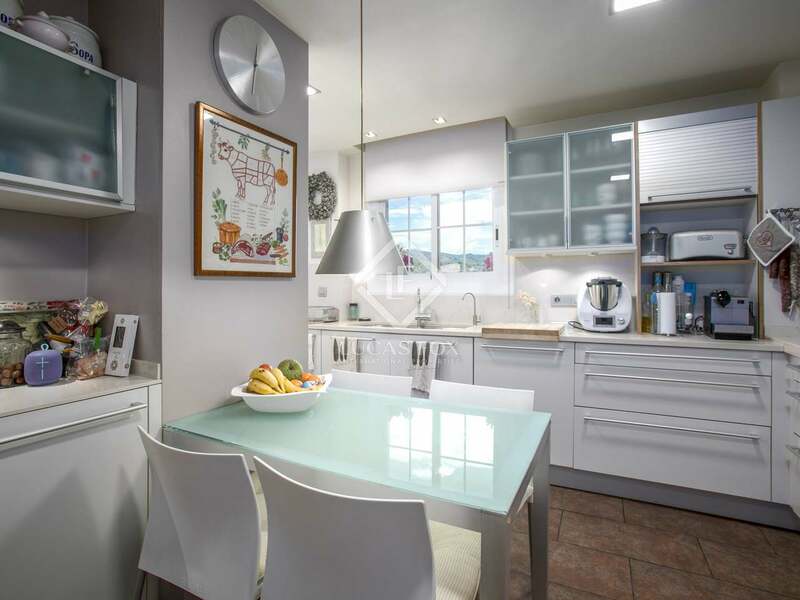 Property located in Alella, 500 metres and 5 minute's walk to restaurants, shopping and the rest of the town centre. 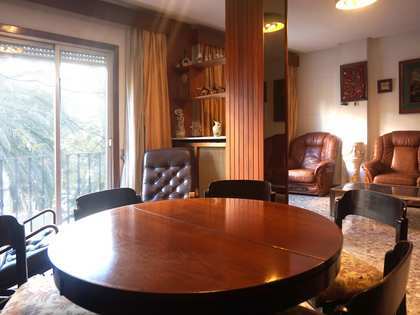 10 minute's walk to a bus stop with services to Barcelona City. 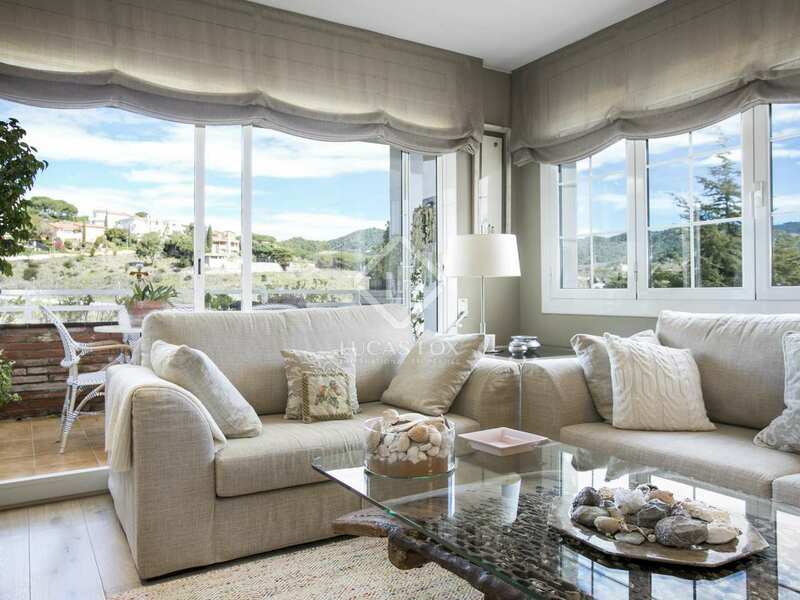 A 7-minute drive to El Masnou train station and beach.